Joss Labadie. Pic: Getty Images. Newport County suffered penalty shootout heartbreak in Gloucestershire, but manager Michael Flynn focused on the positives. His team drew 1-1 against Cheltenham at the Jonny-Rocks Stadium before losing 7-6 in the shootout. Antonio Semenyo and Mark Harris linked up in attack with Amond, who scored his 10th goal of the season, dropped into midfield. Flynn was also pleased with Jay Foulston and goalkeeper Nick Townsend, saying: “There were good performances all around and a lot of positives. REACTION: Boss Michael Duff spoke to the media after tonight's @CheckatradeTrpy win over Newport County at the Jonny-Rocks Stadium. Alex Addai equalised for Cheltenham midway through the second half and it finished 1-1 after 90 minutes. With no extra-time in the Trophy, the match went straight to penalties. And, after Amond, Dan Butler, Joss Labadie, Josh Sheehan, Antoine Semenyo and Mickey Demetriou all scored from the spot, Harris saw his effort saved by Robins goalkeeper Scott Flinders. Cheltenham progress to the last 16 and earned £20,000 in prize money. 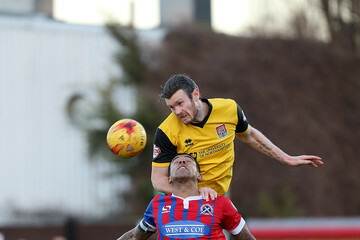 Tyler Forbes came back after injury and played for 65 minutes, while Joss Labadie had his first 20 minutes of action this season after a nine month injury lay-off..
Flynn made seven changes to his starting line-up with Amond, Josh Sheehan, Dan Butler and stand-in captain Fraser Franks keeping their places. Newport pressed forward and went ahead after 17 minutes when Amond scored after good work by Cameron Pring and Franks. Cheltenham equalised after 66 minutes when Addai fired into the roof of the net and the match was eventually decided in the shootout. Next up for County is a League Two match at Swindon Town on Saturday. 🗣 | Manager Michael Flynn says that there were “A lot of positives” after County’s hard fought @CheckatradeTrpy penalty shoot out loss to @CTFCofficial.